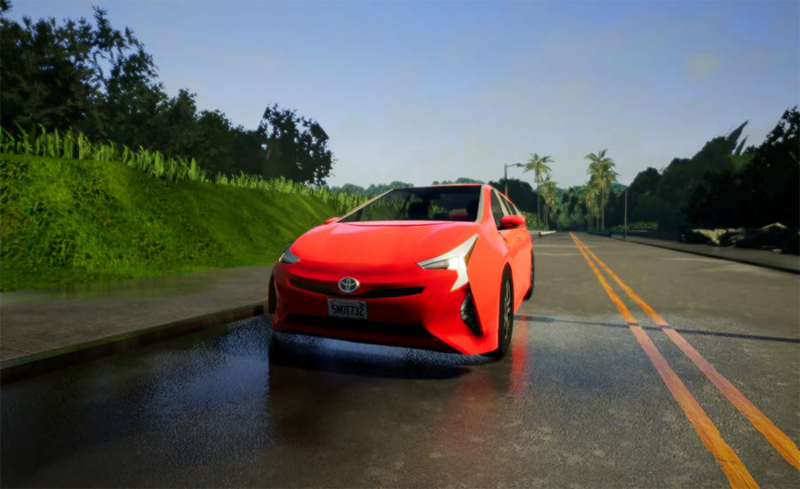 TORONTO, ONTARIO, June 21, 2018 ―Toyota Research Institute (TRI) is furthering its support of open source platforms by donating $100,000 to the Computer Vision Center (CVC) to accelerate its development of an open source simulator for automated driving, Car Learning to Act (CARLA). "Technological advances and growth are made possible through collaboration and community support," said Vangelis Kokkevis, Director of Driving Simulation at TRI. "Fostering the development of a common open simulation platform will allow TRI and its academic and industrial partners to better exchange code, information and data." CARLA is hosted on Github, and its development is directed by the CVC at the Universitat Autònoma de Barcelona (UAB) in Spain. The non-profit, open source simulator is for the development, training and validation of automated urban driving systems. It is designed to ensure the stability of automated vehicles in myriad situations that are not always testable in the real world. With flexibility and realism in mind, CARLA offers a multitude of environmental conditions and is designed to be extended and easily modified to fit specific project needs. The team behind CARLA plans on using TRI's gift to expand its engineering team and the simulator's capabilities. Dr. Antonio López, responsible for the project at CVC, said "CARLA is born to democratize research on automated driving, supporting training and testing of AI drivers beyond real-world limitations. The joint work of CARLA engineers, artists and scientists is making this possible. Obviously, we need to keep working to allow CARLA to reach its full maturity, and this is why the sponsorship from Toyota is highly valuable." CARLA is another major commitment by TRI to an open source platform. TRI has made significant donations for two consecutive years to the Open Source Robotics Foundation (OSRF), which offers the global robotics community access to open source robotics software and development tools. TRI is also the primary contributor to Drake, an open source C++ toolbox created by the MIT Computer Science and Artificial Intelligence Lab (CSAIL) for analyzing the dynamics of robots and building control systems. To learn more about CARLA, please visit Carla.org. Toyota Research Institute is a wholly owned subsidiary of Toyota Motor North America under the direction of Dr. Gill Pratt. The company, established in 2015, aims to strengthen Toyota's research structure and has four initial mandates: 1) enhance the safety of automobiles, 2) increase access to cars to those who otherwise cannot drive, 3) translate Toyota's expertise in creating products for outdoor mobility into products for indoor mobility, and 4) accelerate scientific discovery by applying techniques from artificial intelligence and machine learning. TRI is based in the United States, with offices in Los Altos, Calif., Cambridge, Mass., and Ann Arbor, Mich. For more information about TRI, please visit tri.global.